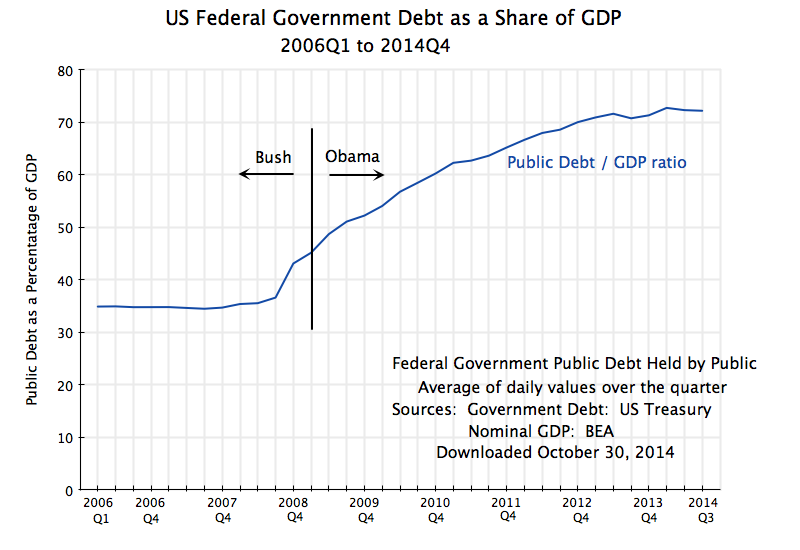 Most people realize that it is not the absolute value of the government debt that matters, but rather the ratio of that debt to GDP. A larger economy can support a larger debt. But most people will also think instinctively that an increase in government spending will necessarily lead to an increase in the government debt to GDP ratio. It is not surprising that they should think so. But it is wrong. Whether the government debt to GDP ratio will rise or will fall when government spending increases will depend on economic conditions and other structural factors. 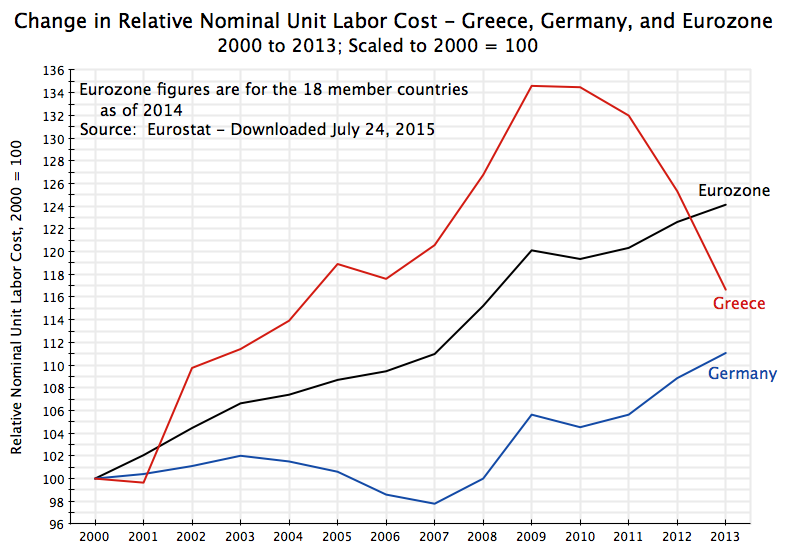 In conditions of high unemployment and where the Central Bank has driven the interest rates it can control essentially to zero, such as exist now in the US and Europe, an increase in government spending will increase the demand for goods and services, and hence will increase the demand for labor to produce those goods and services. Employment and output will then rise. 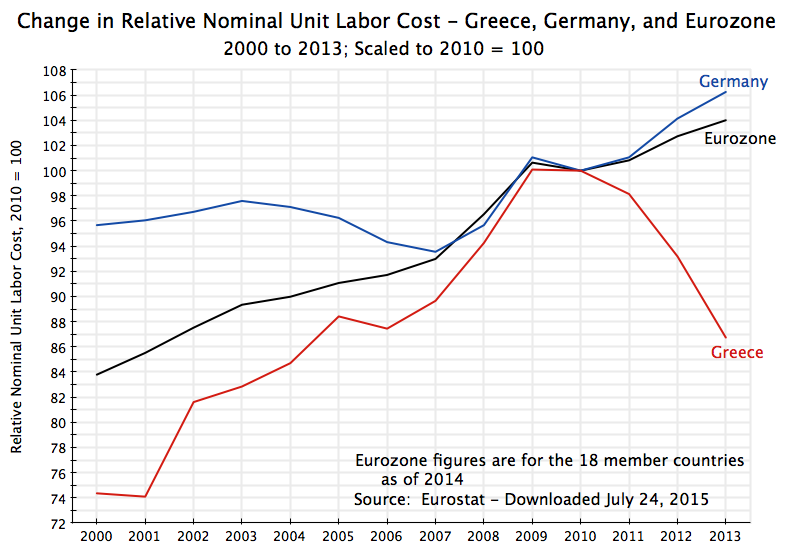 How much they will rise will depend on the multiplier, but as was discussed in a previous Econ 101 post on this site, in conditions of high unemployment and close to zero Central Bank controlled interest rates such as currently exist, the multiplier will be relatively high. The higher incomes that then follow from the higher employment and output will also then lead to higher tax revenues, as a share of the higher incomes will be paid in taxes. Hence the addition to the deficit and thus the public debt will be less than simply the increase in government spending, due to the higher tax revenues. With GDP higher due to the greater demand and with the debt also possibly higher but not by as much, the debt to GDP ratio could fall. And indeed, under conditions such as currently exist in the US and Europe, the debt ratio will almost certainly fall. To see this, one can start with a simple numerical example. Suppose one starts with a GDP equal to 100 units (it could be $100 billion), a public debt of 50 (or 50% of GDP, roughly where it was in the US in 2009), a multiplier equal to 2.0 (a reasonable estimate for the US in recent years), and a marginal tax rate on additional income of 30% (also a reasonable estimate for what it is for US federal government level revenues; it would be higher if one included state and local government revenues). In these conditions, suppose government spending rises by 1 unit. 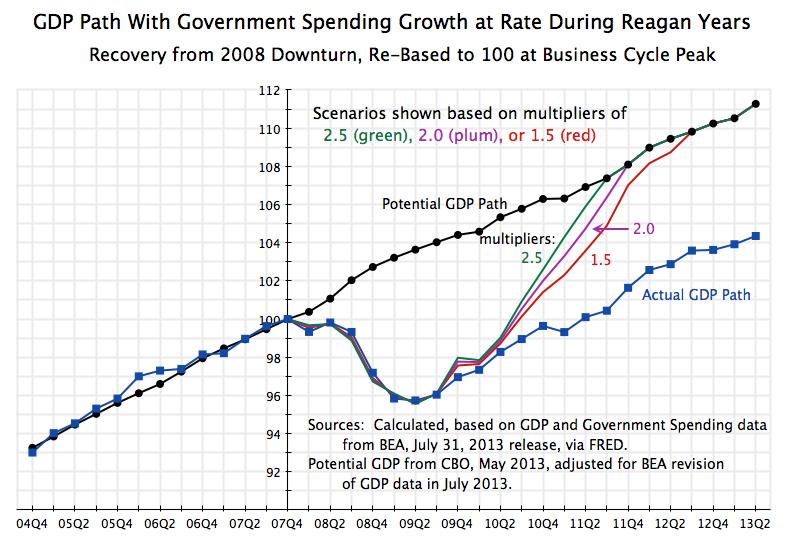 With a multiplier of two, GDP will then rise by 2 units. Tax revenues will then rise by 0.6 units, when the marginal tax rate is 30% on the additional 2 units of GDP. The government deficit, and hence the public debt, will rise by 0.4 units, equal to the extra 1 unit of government spending less the 0.6 units of additional tax revenue. 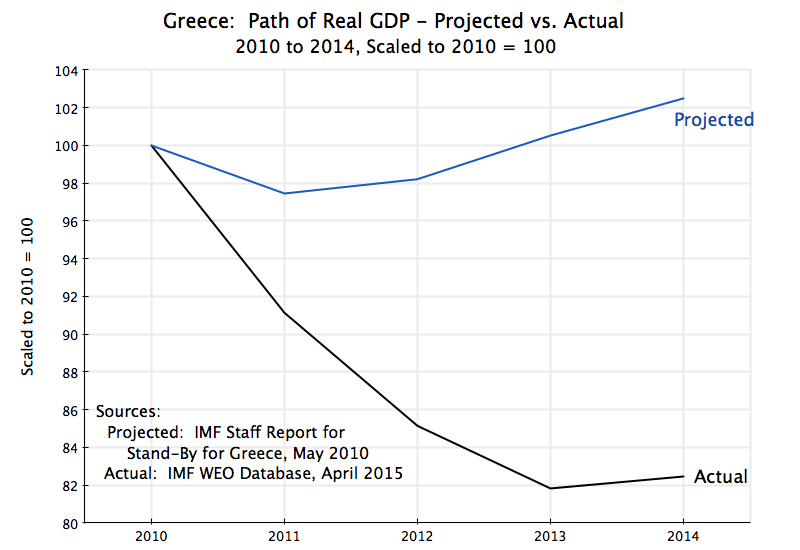 The resulting public debt will be 50.4, while GDP will then be 102, and the ratio of 50.4/102 is equal to 0.494. Hence the debt ratio fell from 50% to 49.4% when government spending rose by 1. 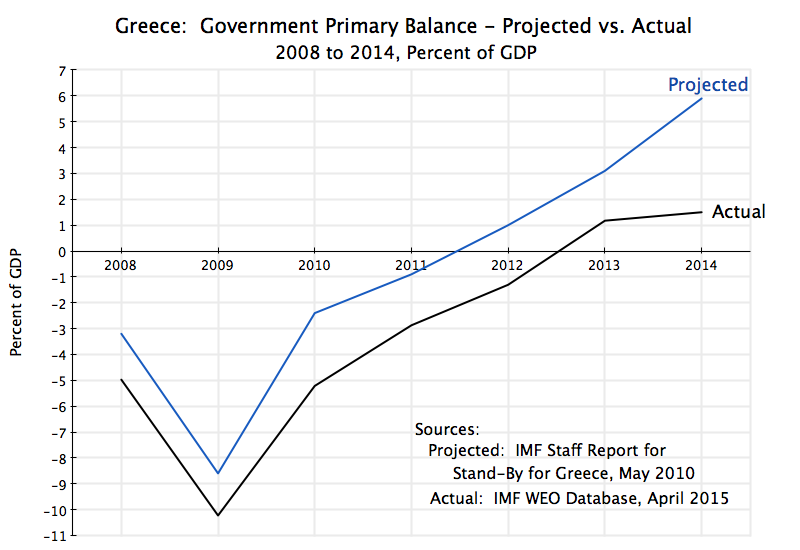 Higher government spending led to a reduction in the debt to GDP ratio. While the total debt rose, GDP rose by proportionately more, leading to a fall in the debt to GDP ratio. Scenario (a) is the case just discussed. With an initial public debt ratio of 50%, a multiplier of 2, and a marginal tax rate of 30%, a unit increase in government spending will lead the debt to GDP ratio to fall to 49.4%. 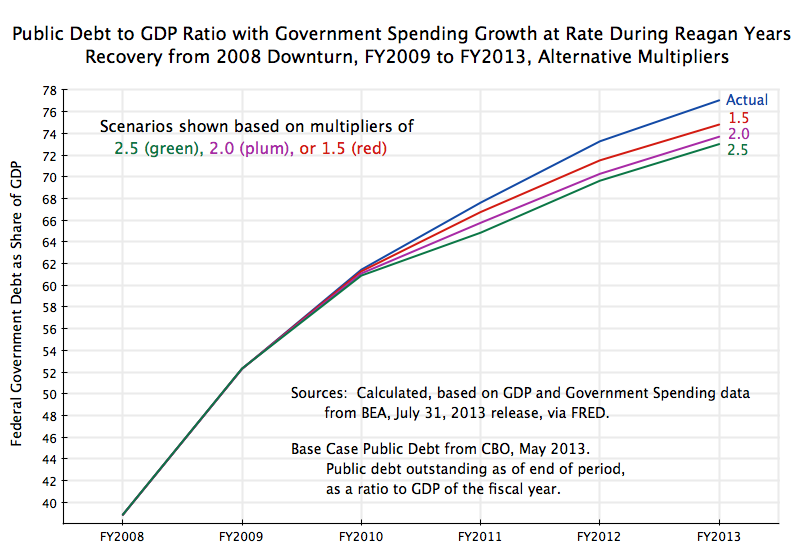 This is robust to different initial debt to GDP ratios: The debt to GDP ratio will fall with higher government spending with an initial debt ratio of 70% (scenario (b), with the debt ratio where it was in FY2012) or at 30% (scenario (c), almost what the debt ratio had fallen to at the end of the Clinton administration, before the Bush tax cuts). Under conditions where the economy is close to full employment, so that the multiplier will be relatively small, the debt ratio could rise with the higher government spending. GDP will not rise by much, if at all, if the economy is already producing at or close to full employment levels. The denominator in the ratio hence will not rise by much, if at all, while the numerator (the level of debt) will rise by the level of extra government spending, with only limited or no extra tax revenues to offset this since GDP has not increased by much. Scenario (d) provides an example, with a multiplier of 0.5. 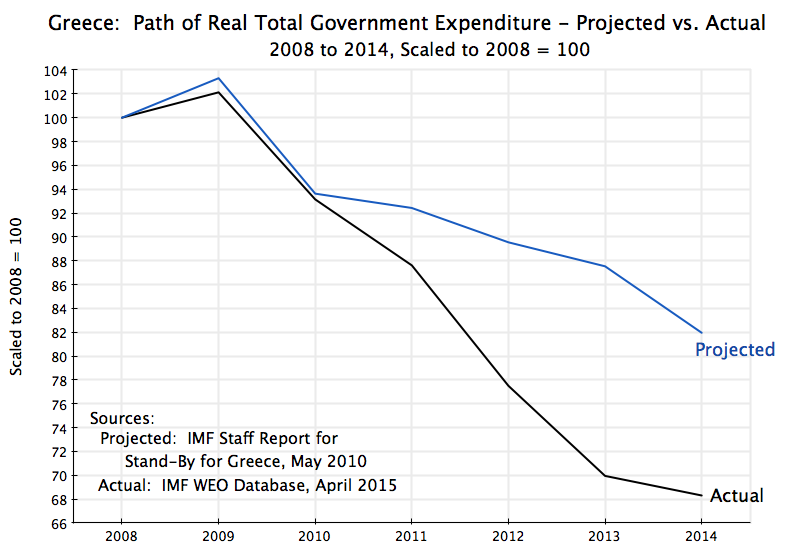 The debt ratio will rise from 50% to 50.6% in this example, when government spending rises by 1. 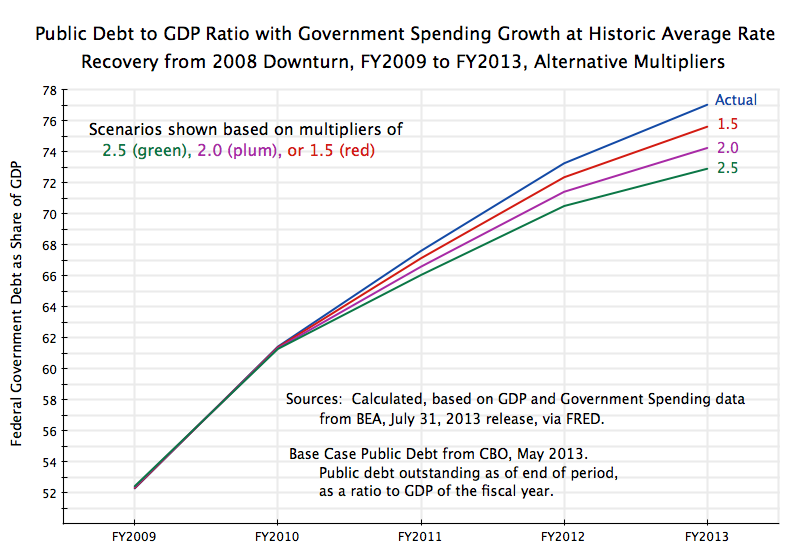 At the other extreme, a very high multiplier may lead to such a large increase in GDP that the extra tax revenues thus generated are greater than the increase in government spending, leading to an actual decrease in the deficit and hence the debt. Scenario (e) presents an example, with a multiplier of 3.5. Debt actually falls from 50 units to 49.95 units, despite the increase in government spending by 1 unit, and the debt to GDP ratio falls from 50% to 48.3%. 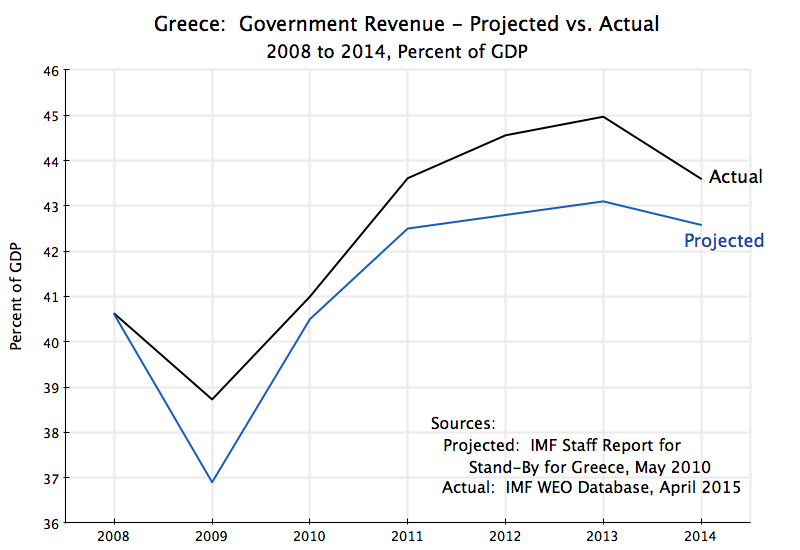 One will also get this result if the extra tax revenues generated for a given increase in GDP is sufficiently high. The above examples assume a marginal tax rate of 30%. More generally, if the marginal tax rate times the multiplier is greater than one (e.g. 30% times 3.5 = 1.05 in the example above), then the absolute value of the debt will fall with the higher government spending. 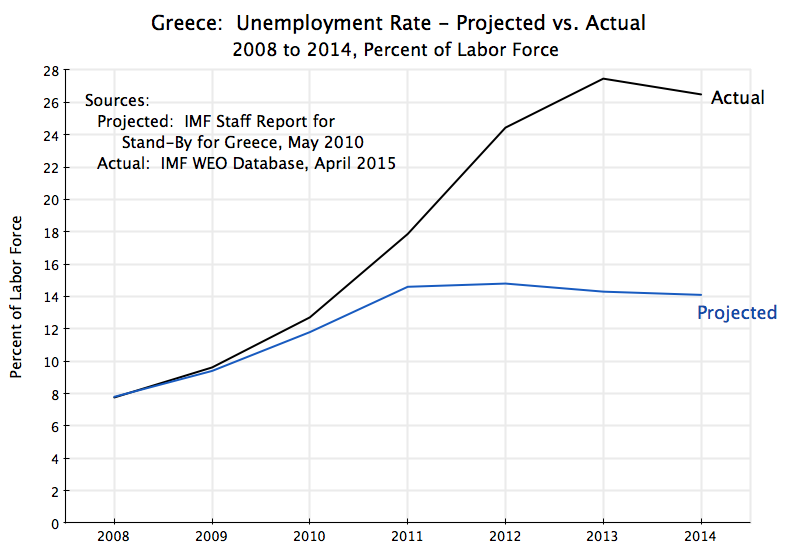 It may well be unlikely, however, that the multiplier will be as high as 3.5, even with the current high unemployment in the US and Europe. Thus it is unlikely that the absolute value of the debt will fall with higher government spending, even in conditions of high unemployment. But as was discussed above, with a reasonable estimate of the multiplier at around 2, one will see the debt to GDP ratio fall, under conditions such as now exist in the US and Europe. 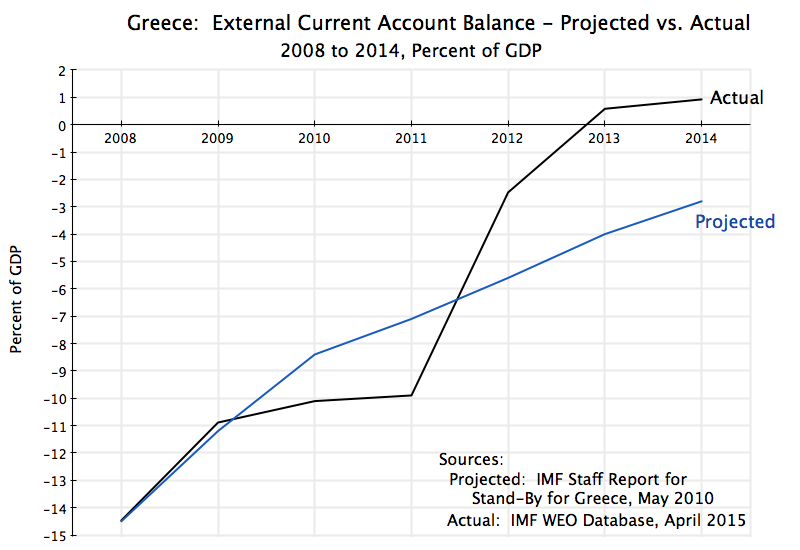 and the debt ratio will fall if the sum on the left is less than zero. That is, the debt to GDP ratio will fall if the marginal tax rate (t), plus the initial debt to GDP ratio (D/Y), minus the inverse of the multiplier (m), is greater than zero (and will rise if the sum is less than zero). 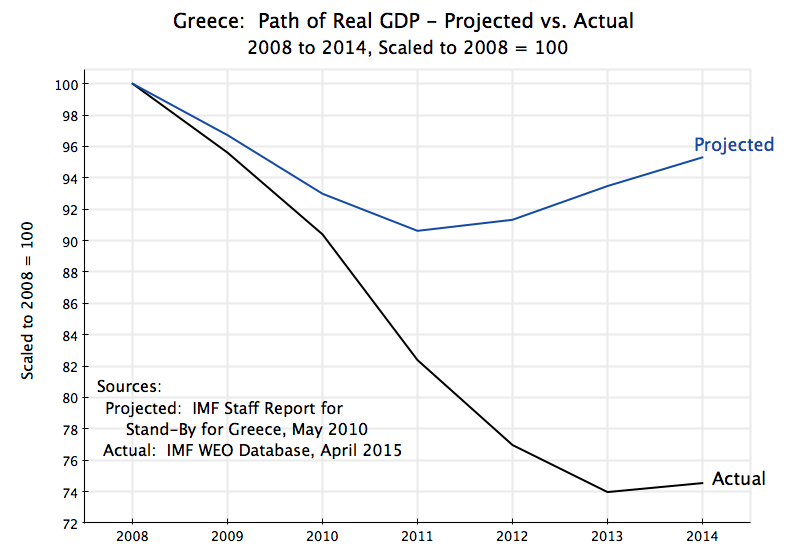 Thus if t=30%, D/Y=50%, and m=2 (so 1/m=0.5), with a sum then of 0.3 + 0.5 – 0.5 = 0.3, which is greater than zero, the debt to GDP ratio will fall. The material above is straightforward. There is nothing deep or complex. 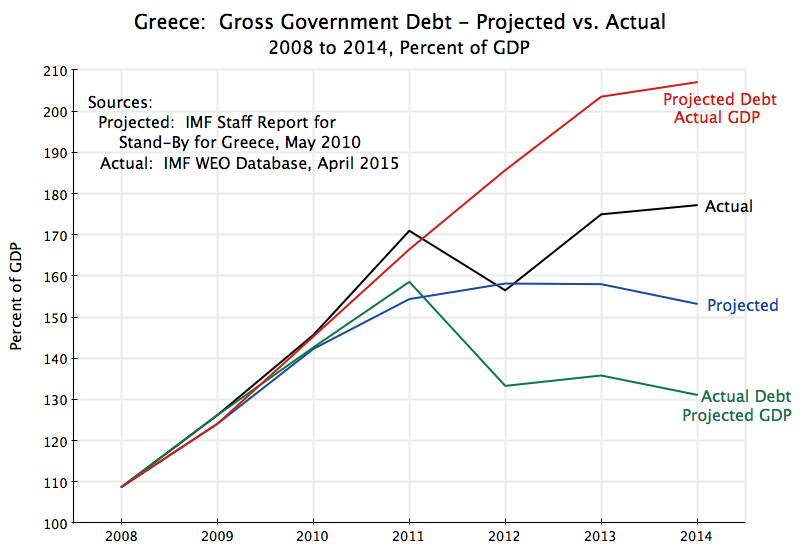 It also just examines the immediate impact on the public debt to GDP ratio from an increase in government spending. 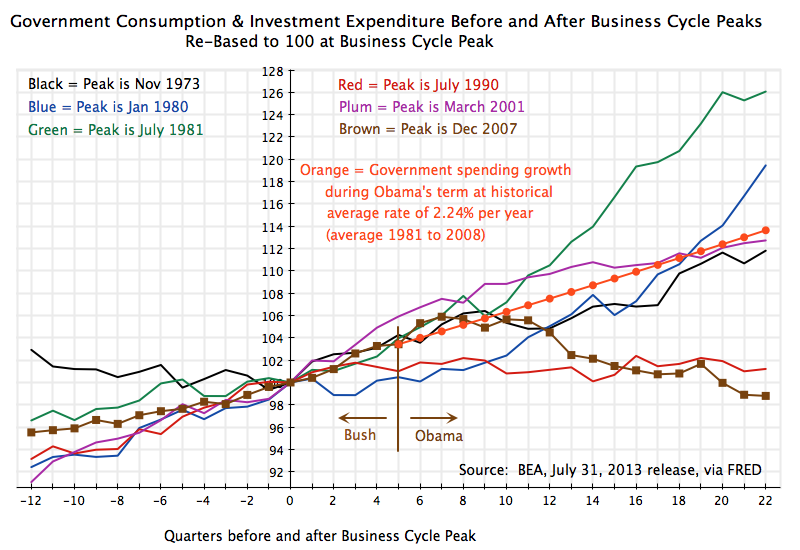 For a more elaborate look at the long-term impact, see the paper of Brad DeLong and Larry Summers published in 2012. 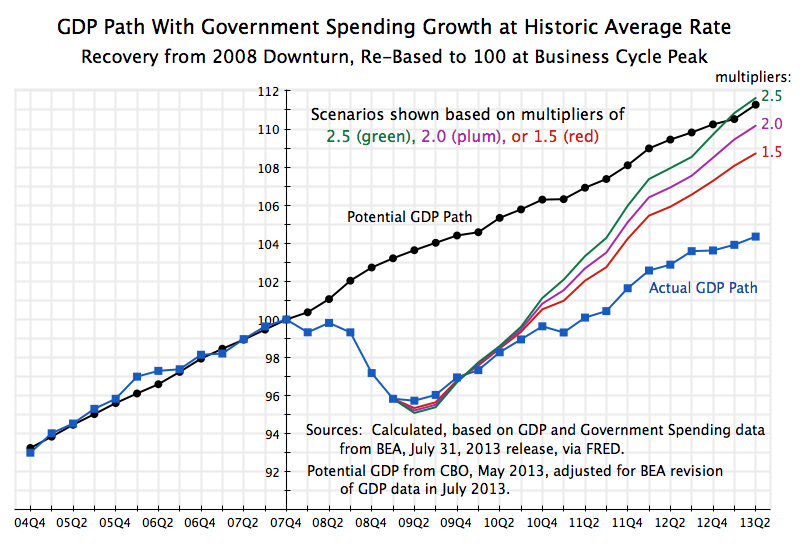 They show there that higher government spending will not only spur GDP in the short run under conditions such as exist now, but also that such spending will likely pay for itself in the long run through its long term positive impact on growth. 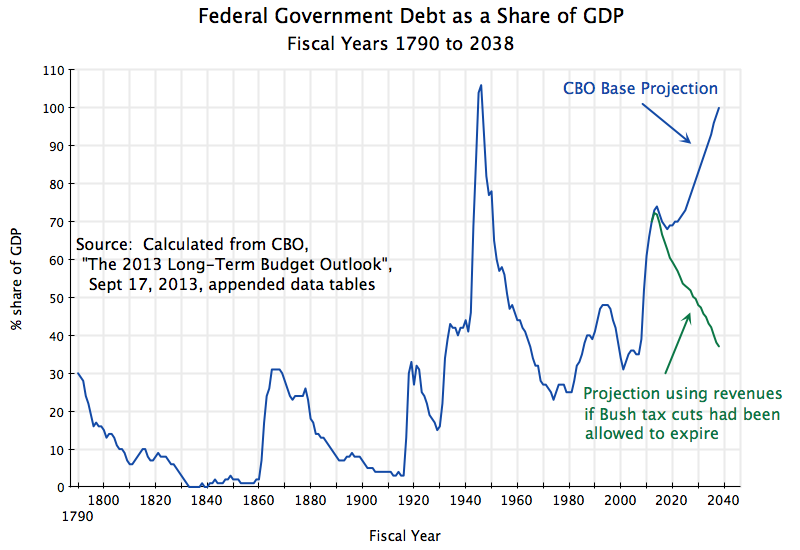 But this post simply focuses on the short term, and shows that counter to what many people might at first believe, higher government spending can lead to a fall in the public debt to GDP ratio. All this result requires is the recognition that under conditions such as exist now, when unemployment is high and Central Bank controlled interest rates are close to zero, there will be a significant multiplier effect from an increase in government spending. The resulting increase in GDP along with the extra tax revenues thus generated could very well then lead to a fall in the debt to GDP ratio. Indeed, with the conditions and parameters such as now exist in the US and Europe, one should expect this result.